Let’s face it: one of the things you worry about most when you’re pregnant is what should be on your baby registry list. 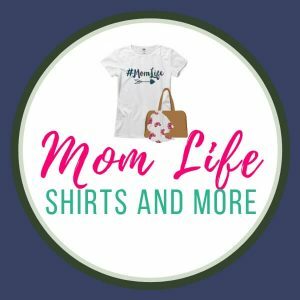 There are so many things you think your baby will need! 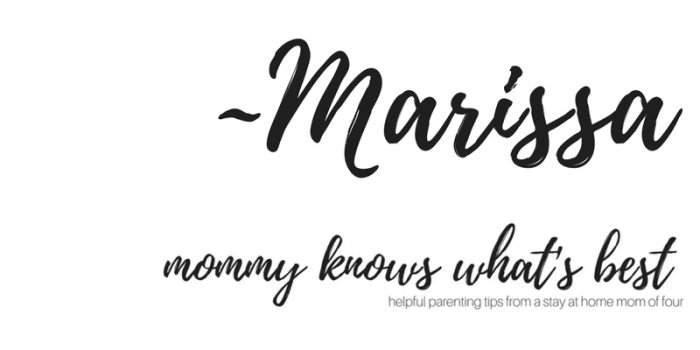 Diapers, wipes, clothes, toys, pacifiers…the list just goes on and on. But what really should be on your baby registry list? A good, quality vacuum. Remember my toddler? Yeah, babies and toddlers like to throw food. When it’s the dry, crunchy kind that lands on a carpet or rug, you’ll want a great vacuum to get all the crumbs. And let’s not forget the cobwebs in the corners that you’ve been neglecting since baby was born. Those will need to be sucked up before any company comes to visit! A quality broom and pail. More crumbs, just different floors. A Go Pro attached to a helmet. Toddlers, people. Toddlers toddle aimlessly at times, walking into any possible corner or sharp edge they could find. Just ask my little guy. What happens when they’re toddling around with your keys or other important, necessary item? Yeah, you’re going to want that Go Pro to see where they’ve been. It’s a 2-in-1 gift, really. Plunger. Kids put things in toilets. I mean anything. And just wait until you reach potty training! C’mon, Mom! That isn’t too much toilet paper in there, is it? Paper towels/ reusable rags. Babies are messy. Don’t you remember that being in the parenting contract you signed when baby was born? You’re going to need a plethora of paper towels or reusable rags on hand AT ALL TIMES. I’m not kidding. I have paper towels for those messes that you couldn’t even imagine carrying to the washing machine or even putting in the washing machine (imagine a 24 hour stomach virus…that’s a lot of upchucking..) and I have those white Gerber cloth diapers to use as my reusable rags. Before the cloth diapers were rags, they were awesome as burping cloths and spur of the moment diaper changing pads. Now, being well used, they’re perfect for cleaning up less-than-gross toddler messes. They’re even great for washing/waxing the car. No kidding! Five laundry baskets. These will not be used by your clothes, no way. These are for your baby’s clothes. Babies can go through several outfits a day. But no worries, it slows down to 2-3 outfits a day once they’re toddlers. Plus, laundry baskets make great toys for toddlers as you’re folding that laundry (with your parental supervision, of course..). Back brace. Before having a baby, practice holding a child by carrying around a 10 lb bag of potatoes. Hold that bag for about 15 minutes to 2 hours, rocking it, holding it on your hip, etc. How does that back feel? I betcha you’re sore, right? Now substitute that bag of potatoes with a wiggly, squirmy toddler, or a baby who refuses to be put down. Back brace, check! Courtney: Lots and lots of bibs to catch all that baby drool. A nursing pillow because I couldn’t imagine life without one. Chrysten: Raspberry teether. We should have bought stock in them. Vicki: Waterproof cover for your bed, especially if you decide to bed share! Cleaning sheets is easy but good luck washing your mattress! Miriam: A large play mat. Our play gym is too small to promote rolling or scooting so a larger play mat has been a necessity. Kristen: Lots of Pacifiers. Since mommy seems to lose every single one. And baby stain remover for the gallons of baby poop you will be cleaning off baby’s clothes. Ashley: A video monitor so you aren’t paranoid and walking back and forth wondering if your baby is stuck in the slats of the crib or if they are face down in the mattress..
Lara: Cloth Diapers – more than diapers – multi-useful tool to block baby boy peeing on you during diaper changes, makes great clean up tool as well. Jamie: How about a 10,001 binkies since it seems every child either throws it away or loses it. Karina: Gallons of spot carpet cleaner…because SOMETHING is gonna get spilled, whether drinks or the child. Jessica: Bamboobies and gallons of lanolin if you’re breastfeeding! 100 sleepers because they’re the only outfit I wanted to put my newborn in because they’re easy, cleaning service. Dianne: Zip up blanket sleepers. Because pulling a regular shirt or onesie over that wobbly baby head for the first time is terrifying. Stephanie G: I found the Boppy pillow was super useful for breastfeeding… I would put it around my waist and it would help prop the baby up… Also would put the baby in the middle to help prop them up before they were able to sit up. What great suggestions, don’t you think? What would you add to the list? 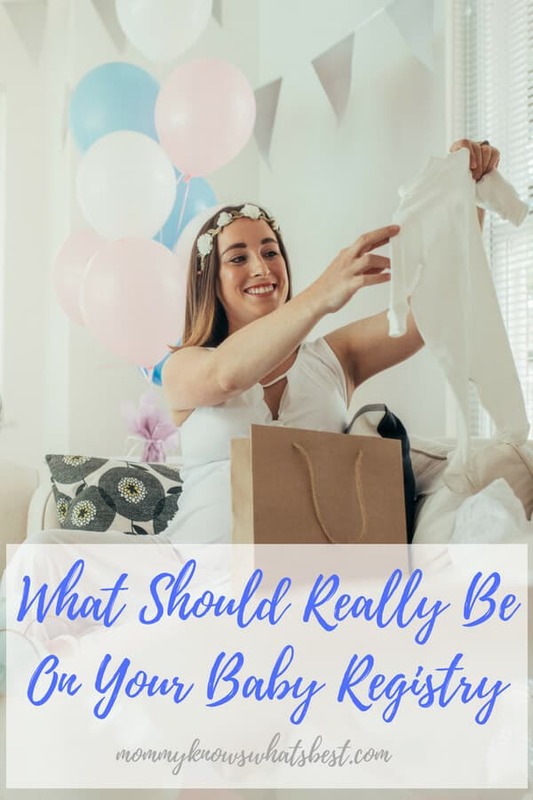 If you’d like a more complete list of things to add to your baby registry list, check out What Should I Put on My Baby Registry? and Everything You Need for a Newborn Baby. Have fun! Feel free to share with all of your expecting friends!